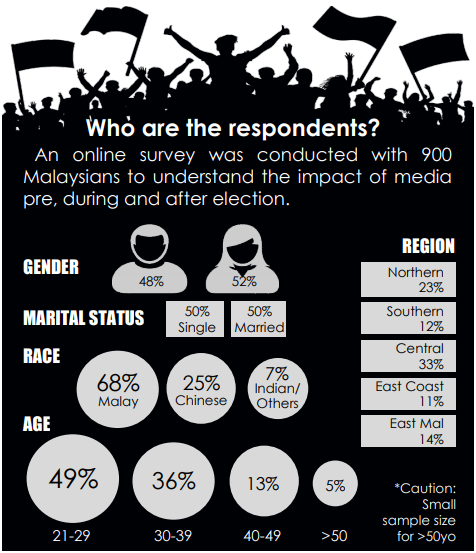 Traditional media made a comeback during the recent 14th Malaysian General Election (GE). 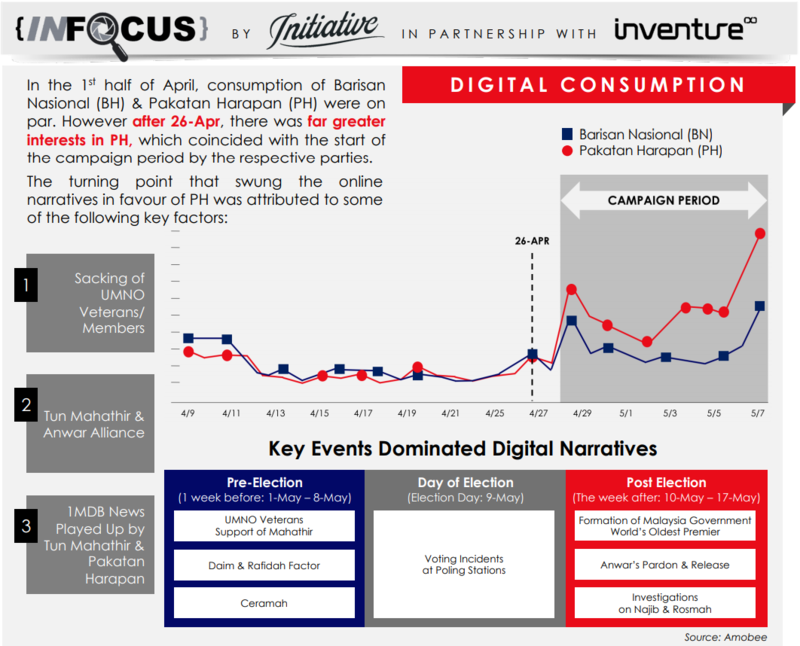 According to a study by IPG Mediabrands’ Initiative and Inventure, which surveyed 900 Malaysians nationwide to analyse the impact of media pre, during and post election, Malaysians consumed “a lot more” news than before, with notable increases in traditional platforms such as TV and newspapers. This could be attributed to the fact that mass mediums are seen as more credible, especially with the proliferation of fake news in circulation. 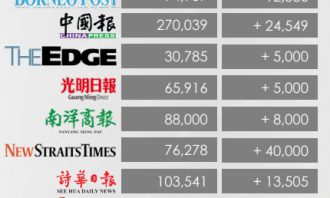 Claimed circulation numbers by media owners stated that Sin Chew Daily had a circulation increase of 50,000 to 350,456, while China Press saw its circulation numbers increase by 24,549 to 270,039 during GE. 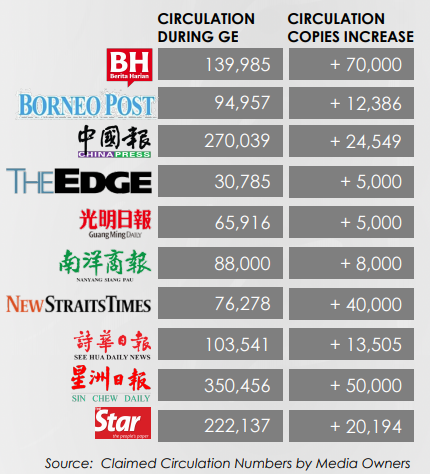 Meanwhile, The Star witnessed a circulation increase of 20,194 to 222,137, while Berita Harian had a circulation increase of 70,000 to 139,985 during the GE. According to Initiative, this could be attributed to the fact that newspapers were seen to further capitalise on the rakyat‘s need to keep historical editions of the GE. Hence, many publications decided to increase circulation during that period. 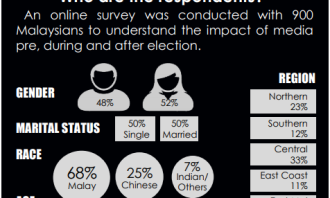 The study also noted that 46% of Millennials and 48% of Gen X prefer their news in text article format, forming approximately one-third of the Malaysians surveyed. 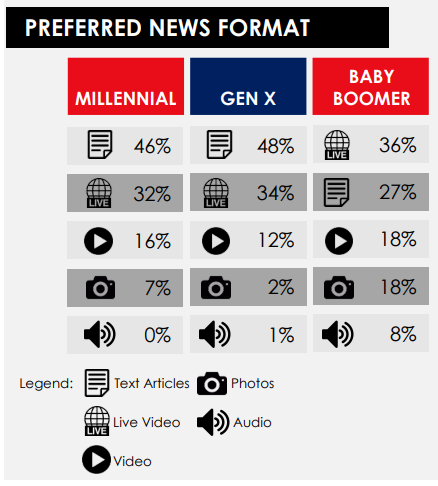 Both Millennials (32%) and Gen X (34%) listed live videos as their second preferred news format. 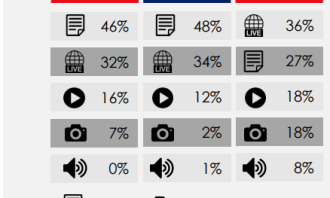 On the other hand, live videos were the most preferred news format (36%) for Baby Boomers, followed by text articles (27%). Facebook came out on top as the most popular platform that Millennials and Gen X would turn to for news during GE. 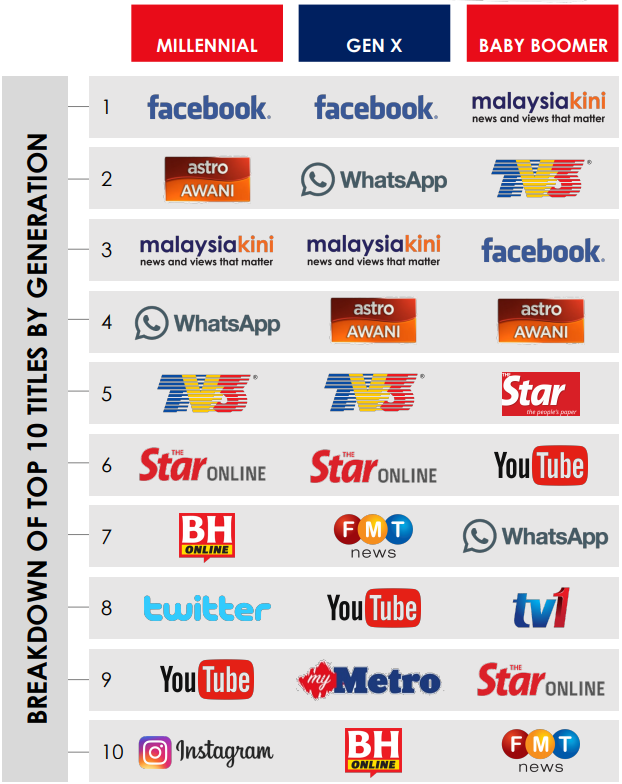 Astro Awani and Whatsapp were listed as the second most popular source of news for Millennials and Gen X respectively, while Malaysiakini was the third choice for both demographics. 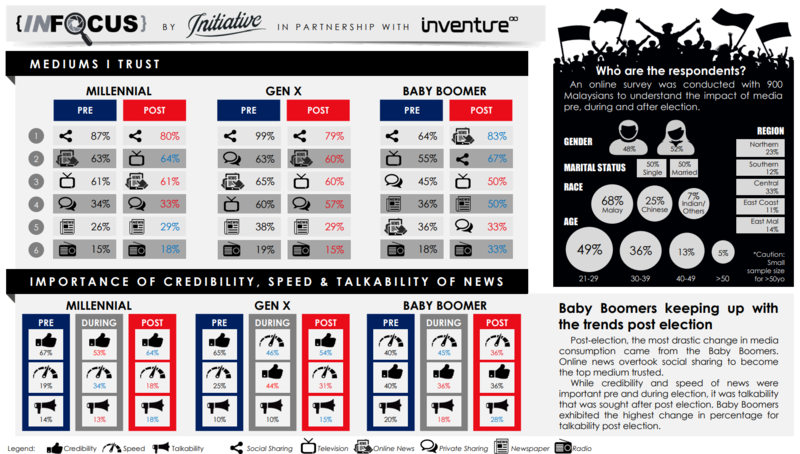 Meanwhile, Baby Boomers picked Malaysiakini as their top choice of news during GE, while TV3 and Facebook were their second and third choice. According to claimed traffic numbers by media owners, MyMetro had 2.5 million unique visitors pre-election from 30 April to 6 May. This was followed by Malaysiakini and The Star Online, which had 2.3 million unique visitors each. 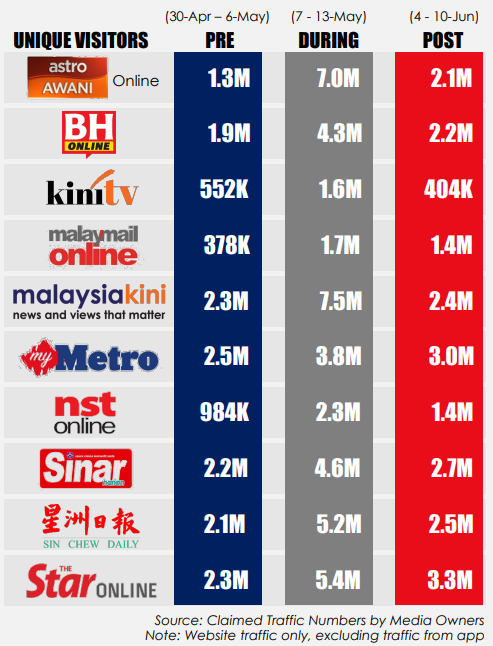 Sinar Harian, Sin Chew Daily and Berita Harian Online garnered 2.2 million, 2.1 million and 1.9 million unique visitors respectively. 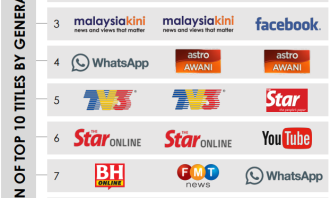 While all websites experienced an increase in traffic during the GE period from 7 to 13 May, Malaysiakini amassed the most unique visitors (7.5 million) followed by Astro Awani Online (7.0 million). Despite the slight decrease in website traffic post election, the numbers were still higher than the pre election period. 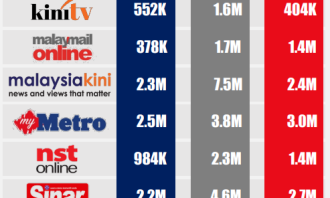 This time, The Star Online had the most unique visitors (3.3 million), followed by MyMetro (3.0 million) and Sinar Harian (2.7 million). Initiative said that higher website traffic could be attributed to the change in behaviour as more Gen X and Baby Boomers consumed more online news post-election. It added that post-election, the most drastic change in media consumption came from the Baby Boomers. Online news overtook social sharing to become the top medium trusted. Also, while credibility and speed of news were important prior to and during the election, it was the talkability that was sought after post-election. 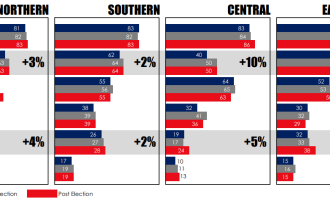 Baby Boomers showed the highest change in percentage for talkability post election, from 18% to 28%. Millennials and Gen X, on the other hand, each only showed a 5% change. 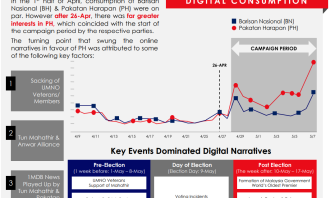 Key events that dominated digital narratives pre-election include “UMNO Veterans”, “Support of Mahathir” and “Ceramah”, while voting incidents at polling stations made headlines on the day of the election. Meanwhile, narratives surrounding the formation of the Malaysia government by the world’s oldest premier, Anwar’s pardon and release, as well as investigations on Najib and Rosmah dominated online conversations post-election. According to Kristine Ong, MD of Initiative, GE14 presents renewed hope for Malaysians in more ways than one. 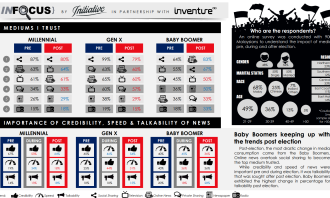 Credibility was the most important consideration among Millennials and Gen X when it comes to consuming news. “As news coverage becomes more balanced post-election, we are seeing early signs of a media revival. Both television and newspaper are gaining their gloss again, which augurs well for the industry. Strong media competition is always good, and we see digital continue to be an important channel,” Ong said. She added that interestingly enough, both social and private sharing are losing some advantage due to the proliferation of fake news in circulation. At the epicenter of GE14 are the strong affinity and sociability cultural drivers that surfaced and will likely end up in Malaysia’s history books or even someday be made into a movie, Ong said.